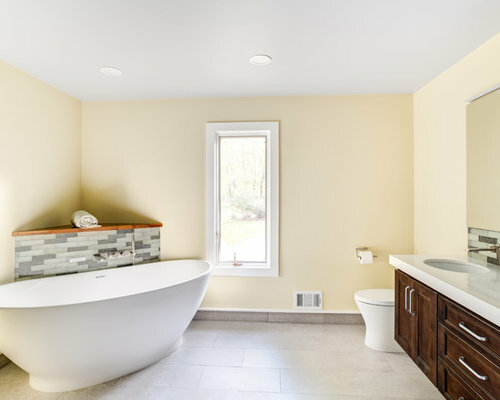 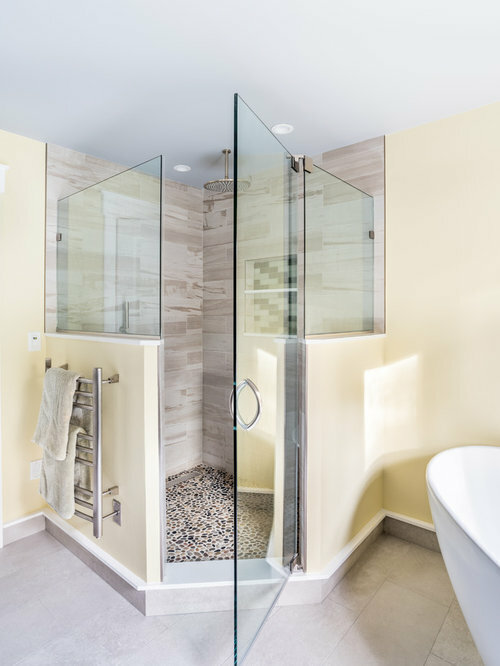 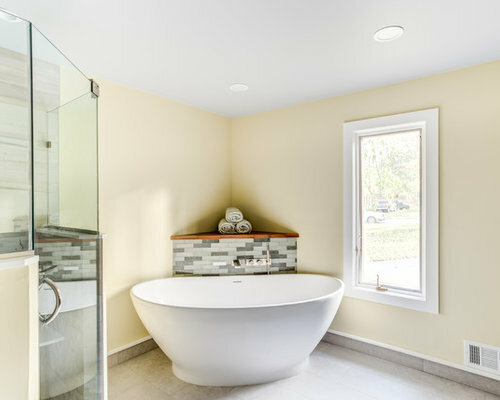 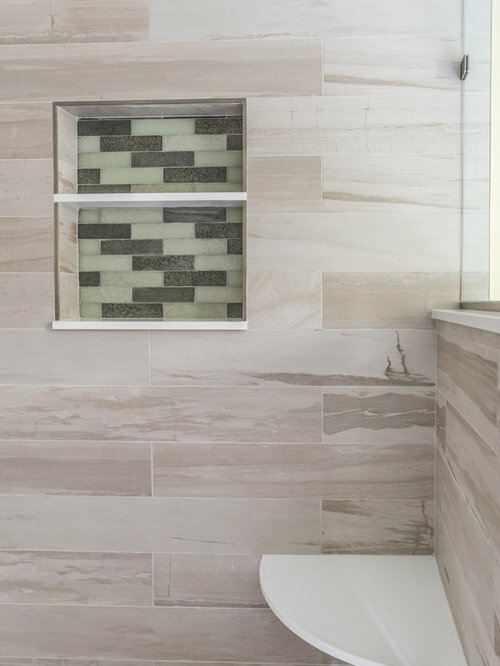 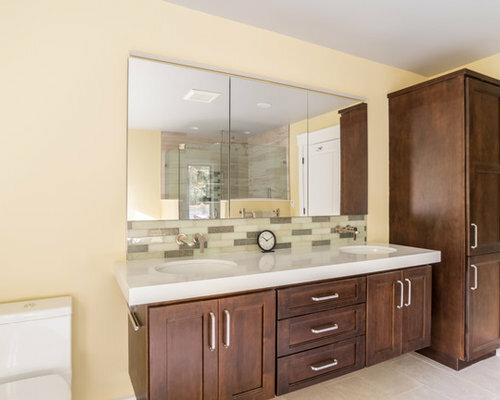 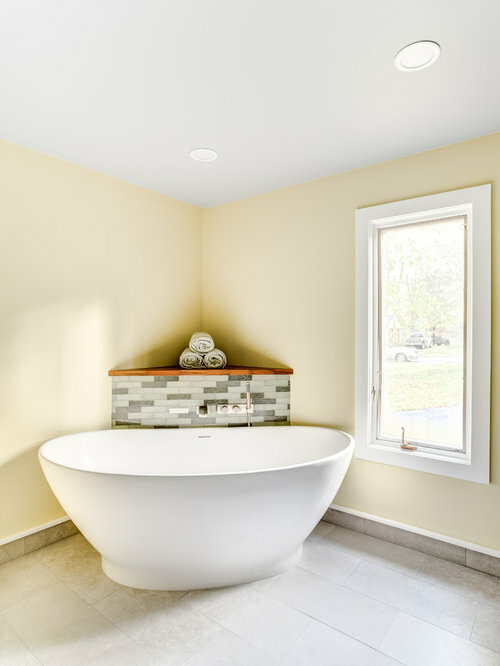 A large Master Bath that shows it all off while supporting a natural and minimalist design. 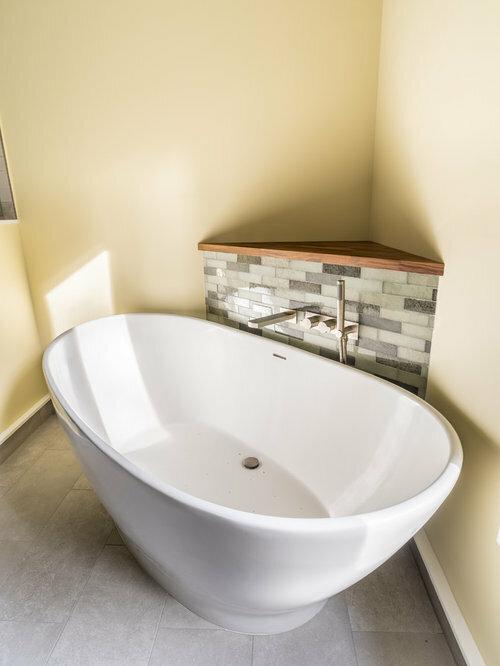 The free standing tub sits pretty against natural stone back splash topped with a warm teak wood shelf. 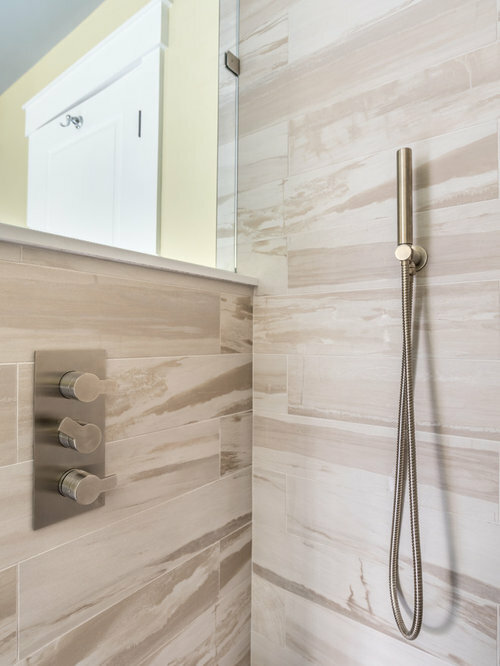 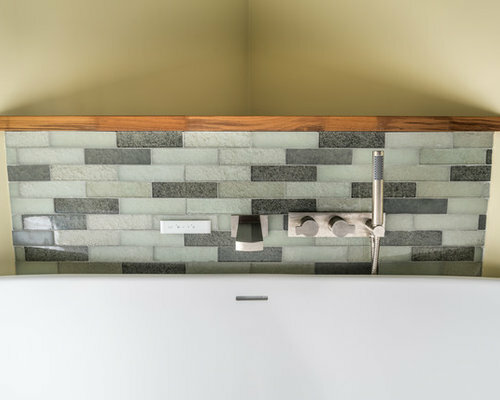 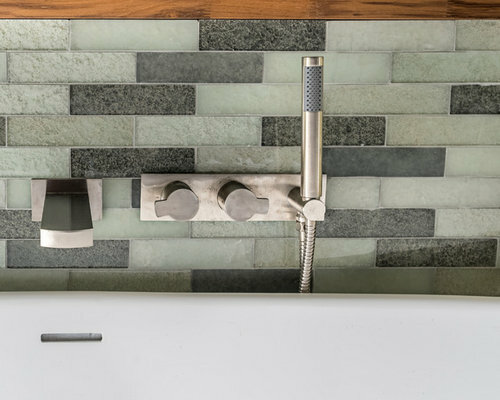 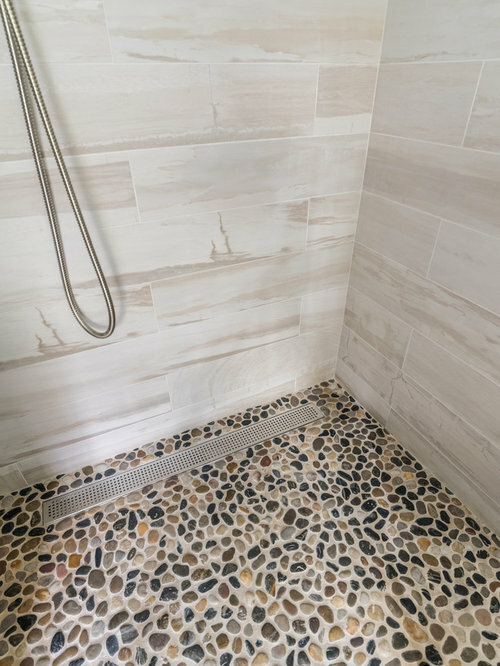 Simple faucets and controls don't take away from the earthy beauty but compliment the movement of the tile along the walk in shower. 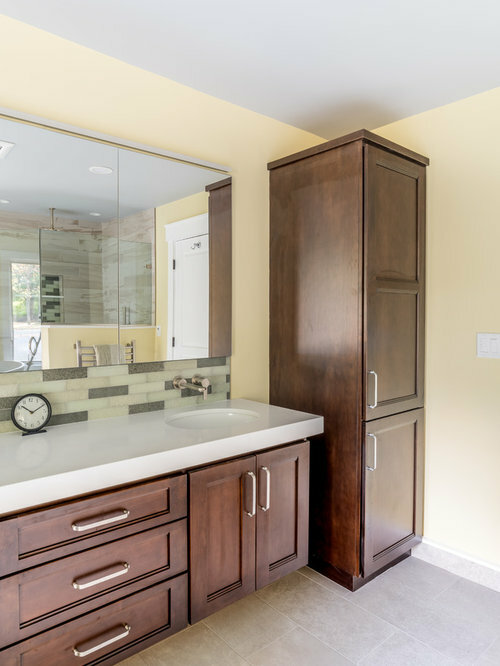 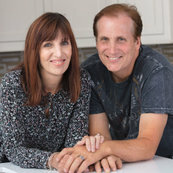 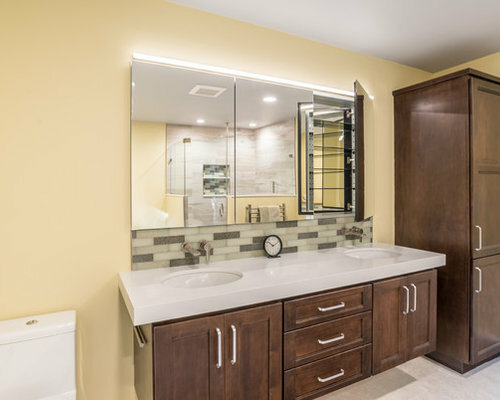 A cantilevered vanity is home to his and hers under mount sinks. 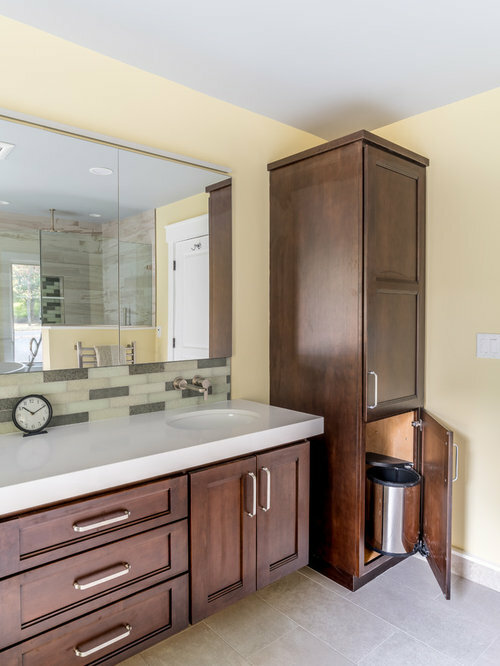 wall mounted sink faucets leave the quartz counter top wide open keeping things clean and simple.